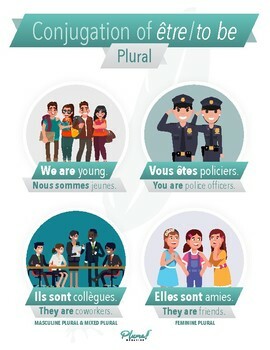 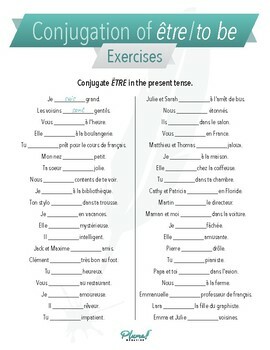 One poster/quick reference with conjugation of être (to be) in the present tense of the indicative + pictures describing each pronoun with an example + 40 simple sentences (with translation) to practice conjugation. 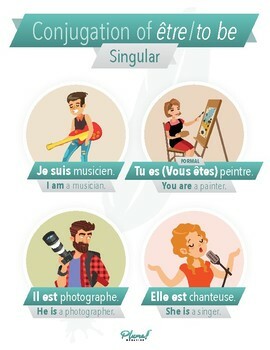 Great graphics, beautifully presented. 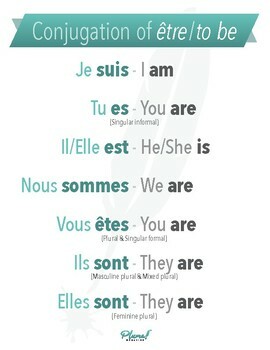 Something every student needs when starting to learn French!